Singapore’s Silver Shell Cafe evokes a breezy resort feel with earth tones and soothing aquamarine blue inspired by its seaside location. 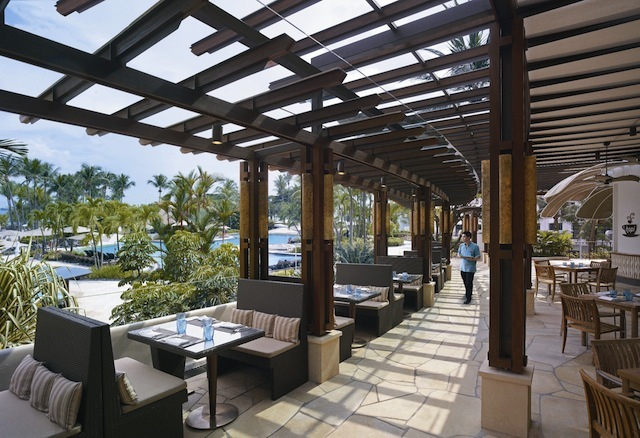 Silver Shell Cafe provides guests the perfect respite for a casual indoor culinary experience, or al fresco dining on the restaurant’s terrace. 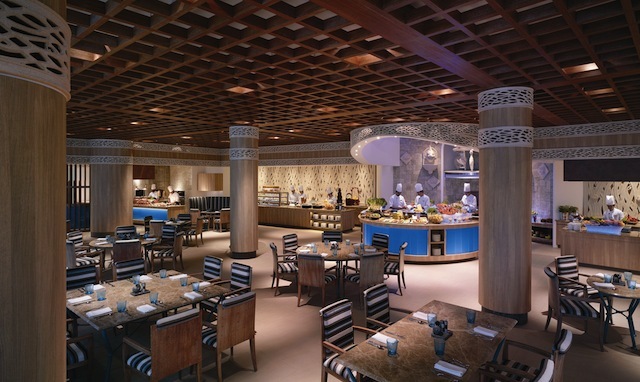 With daily buffets, diners can witness the culinary prowess of the chefs at six live cooking stations as they conjure up a cornucopia of delectable buffet specialties a la minute. 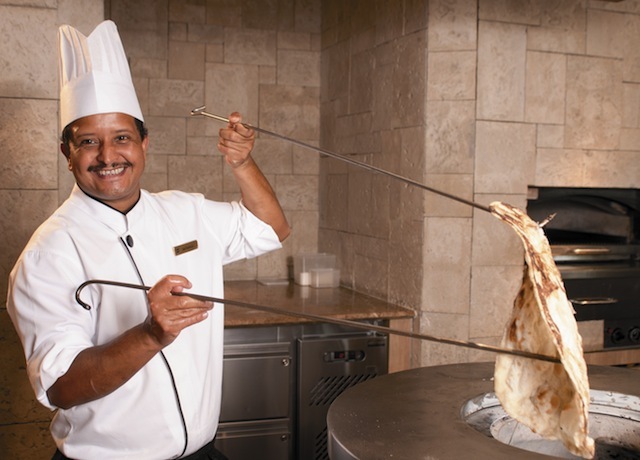 At dinner, the international buffet offers over 100 dishes showcasing tastes from around the globe; from Indian to Japanese, Chinese and Western cuisines. A live carving station featuring a whole rib eye roast or rack of lamb complements the generous spread. 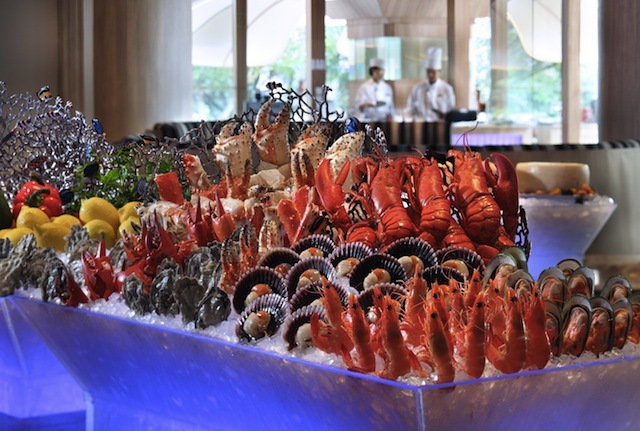 A seafood-themed buffet is available on Friday and Saturday evenings, with freshly shucked French oysters, lobsters, Alaskan king crab legs and scallops taking the centre stage. A highlight at Silver Shell Cafe is Singapore’s first dedicated buffet corner for children. Available for breakfast, lunch or dinner, this unique feature offers the little ones a truly fun and enjoyable dining experience. Here, they can choose from child-friendly multi-cuisine options, all of which are served in chafing dishes atop a customized tabletop of a suitably lower height. 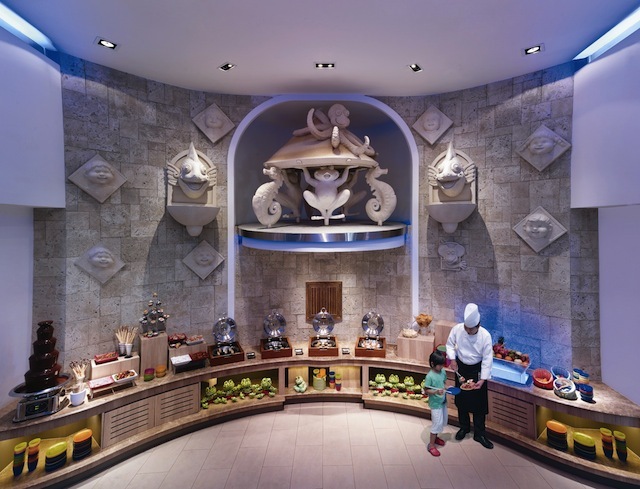 Just above the buffet area, a rotating stone carving carousel with frogs and sea horses inject a whimsical flair to catch the children’s attention. Silver Shell Cafe also offers diners an extensive international à la carte menu that provides even more choices. 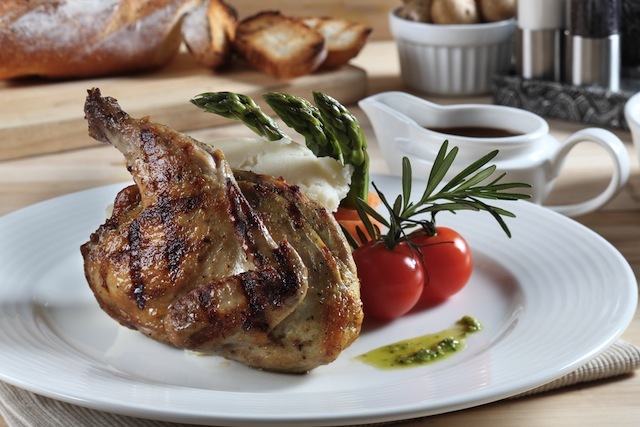 There are salads, sandwiches and burgers, pastas, seafood (such as the King Tiger Prawn dish) and meats such as the Cornish Hen pictured in the photo above. 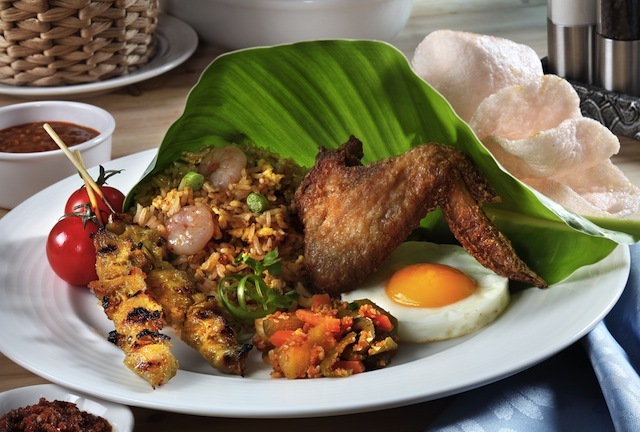 Additionally, there’s a section on the à la carte menu dedicated to Asian perennial favourites like traditional Indonesian Nasi Goreng. 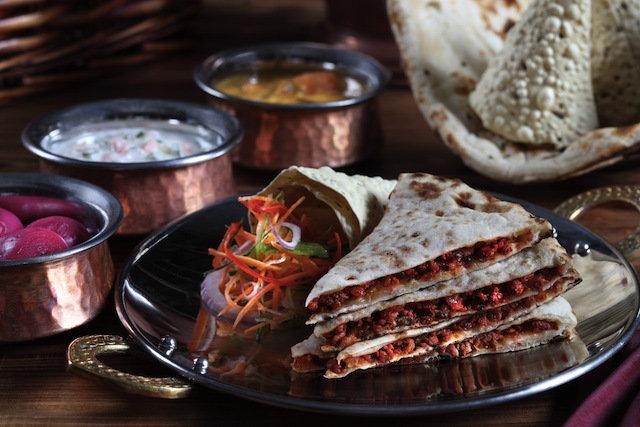 Freshly made naan bread from the Indian kitchen is prepared for the savoury minced meat Keema Naan dish pictured below.